Why does it seem like Asia gets all the awesome food before we do? 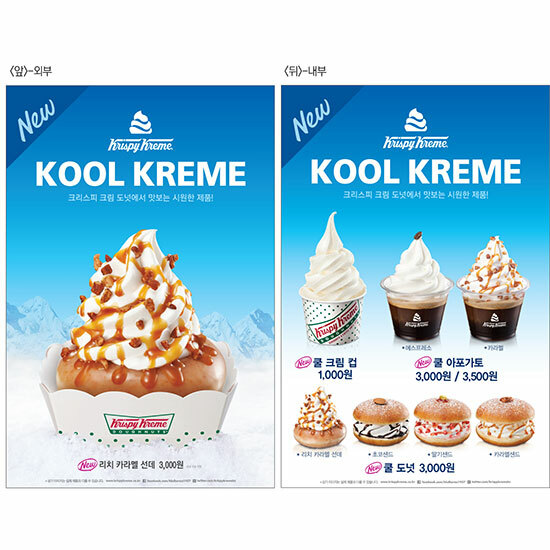 For instance, Krispy Kreme recently introduced doughnut ice cream sandwiches in South Korea. Come on, Krispy Kreme, that’s got America written all over it! Called the Kool Donut, these cold sandwiches are a hole-free donut sliced in half and filled with Kripsy Kreme’s soft-serve ice cream, known as Kool Kreme. From there, the ice cream is topped with one of three flavor swirls: caramel, chocolate or strawberry. Apparently, all that sugary goodness goes for just 3,000 won—or around $2.75. What’s most disappointing, however, is it seems like there’s nothing stopping Krispy Kreme from bringing this donut ice cream sandwich technology to the States. According to Brand Eating, the doughnut chain offers soft-serve ice cream at some select locations here in the US. Those stores even offer up Doughnut Sundaes, which is a donut topped with ice cream. It should be an easy jump to doughnut ice cream sandwich, but alas, so far it has eluded us. Can someone please get American Krispy Kremes some knives so they can cut their doughnuts in half? Come on, people, we can do this.